How often do you tell your parents that you love them? Probably not as often as you should. In fact, new research reveals that we Brits are rubbish at telling our nearest and dearest that we love them. 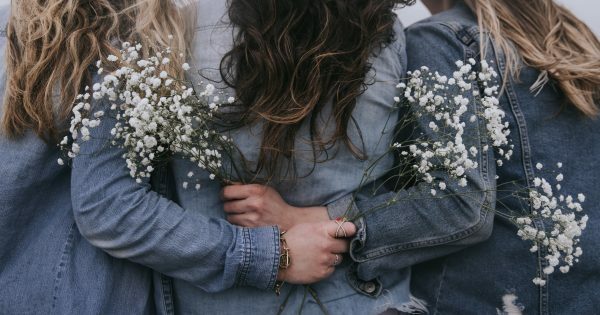 While there are lots of things that we can talk to our mums about over a coffee, new research by flower delivery service, Interflora, has revealed that there’s one thing some struggle to open up about: love. With a quarter (25%) of Brits admitting that they have never told their mothers that they love them, followed by nearly a third (32%) who have never said “I love you” to their father. The study also found that more than half (51%) of Brits surveyed have never told their best friend that they love them. Although, when it comes to revealing our feelings, men are, on average, worse than women, telling their nearest and dearest how much they love them 15% less than women. But why are we so bad at telling the people we’re closest to how we feel? The research found that embarrassment (25%) was the main reason why people don’t show their love and appreciation. Other top reasons include: people assuming that the other person knows how they feel (24%), families not wanting to talk about that type of thing (21%), followed by 19% of survey respondents who admitted that they aren’t good with words and 18% worrying that it will embarrass the other person. Do you think it’s important to tell your nearest and dearest that you love them? Let us know by commenting below.